Ms. Kathy G. Linehan received her bachelor of science degree in accounting from Ithaca College in upstate New York in 1985. 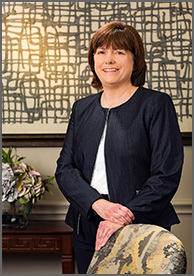 Upon graduating, she relocated to the Houston area and became a certified public accountant in 1987. Kathy and her husband have two grown daughters and have called The Woodlands home for over 20 years.